The negative reaction among critics and fans after the release of of Batman v. Superman: Dawn of Justice sent shock-waves through the DC division at Warner Bros.; especially seeing how it was to be the launching pad for a larger DC tentpole that would soon feature the likes of Suicide Squad, The Justice League, Wonder Woman, and several other standalone superhero films. Warner Bros.’ Executive Vice President Jon Berg, along with Geoff Johns, who is responsible for making the highly successful transition of DC Comics into the television realm (Arrow, The Flash, Supergirl), are being called upon to focus the DC film division and head up the remaining projects. Although the film grossed around $870 million on a $300 million budget, these numbers scare the studio a bit seeing as how the latest Marvel blockbuster, Captain America: Civil War (another superhero v. superhero story), is well on its way toward the $1 billion mark in its first two weeks out. This fact alone points directly to some of the main issues that plagued audiences in regard to BvS – the significantly darker tone and the superheroes being unconventionally un-superhero-like. Director Zack Snyder has taken a lot of flack for this, and has taken a step back in creative control over the rest of the DC Universe. 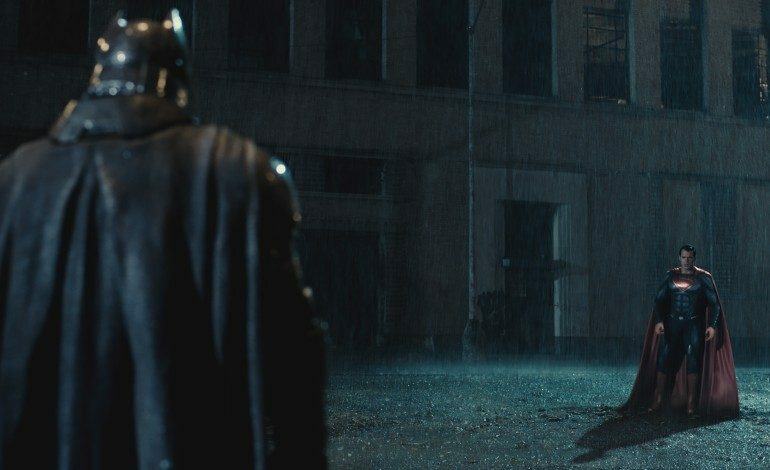 David Ayer, who is directing Suicide Squad and is also known for his darker tones (End of Watch, Fury), has undergone re-shoots on his films ever since BvS, although the studio has assured audiences that it is not in an attempt to copy Marvel and make the film more humorous. The issue, however, goes beyond directors, but stems from the executive ranks. This change is a direct response from the studio organization itself, as they feel the need to clean up their ranks and tighten up the green lighting process by creating divisions based on “genre streams”. For example, the Lego Movie and Harry Potter franchises (which will soon see the release of Fantastic Beasts and Where to Find Them) have been consolidated along with the comedy and action/sci-fi genres. With Berg and Johns the studio believes they will have more efficiency and consistency among their DC projects. Berg has already been working on BvS, Wonder Woman, and The Justice League as well as produced Ben Affleck‘s Argo and upcoming Live By Night, giving him an already strong relationship with the upcoming star and executive producer of their upcoming Batman standalone films. On the other hand, Johns has proven success with the DC brand through the television realm. The TV series, in comparison to the films, have managed to maintain a balance between a lot of their heavy subject material and the lighter undertones that superhero audiences have come to expect over the past decades. Suicide Squad has already generated a lot of positive feedback among fans and hopefully with a fresh vision among the higher-ups at Warner Bros., they can keep the momentum going.